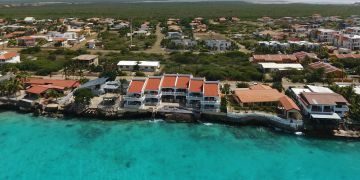 Crown Shores 27 offers everything that you need in a house on Bonaire! 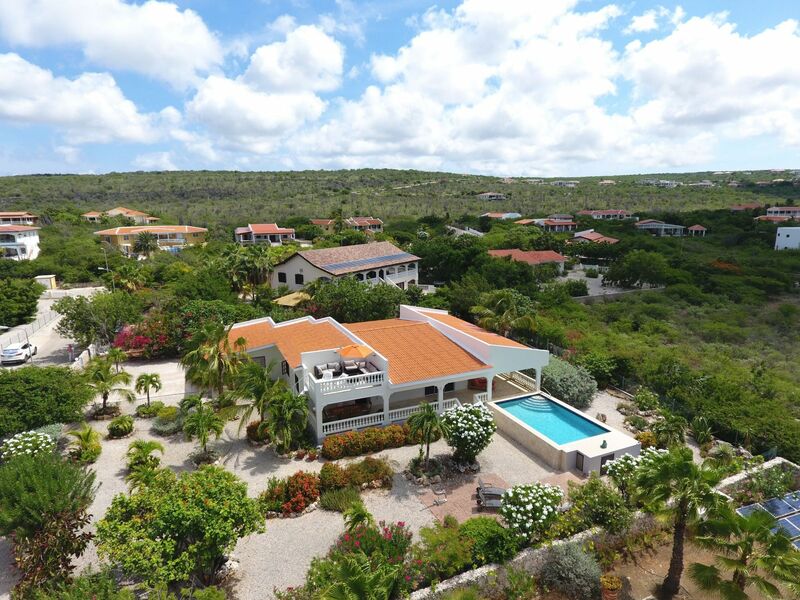 A gorgeous tropical garden, breathtaking views of the Caribbean Sea and a very spacious private pool! 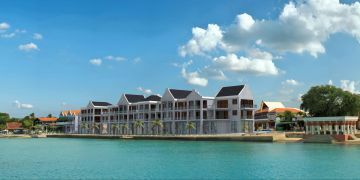 The house is perfectly built on the wind, which allows you to take full advantage of the cooling wind . Enjoy the sun on the pool deck or on the sun terrace or enjoy the shade on the covered terrace. The property has 3 bedrooms and 2.5 bathrooms. The bedrooms are all air conditioned. 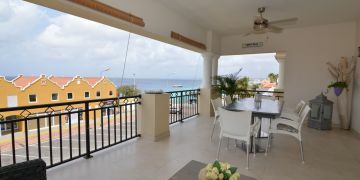 The spacious living room has a modern open plan kitchen with high-quality appliances.The house is very stylishly furnished. From the garden you will find a path to the ocean, where you can easily have access to the ocean using the ladder. Entrance through the front door directly in the living room with open kitchen. On the south side of the house you will find the master bedroom with private bathroom. On the north side of the house you will find the other two bedrooms with a bathroom. In addition, there is a separate toilet. 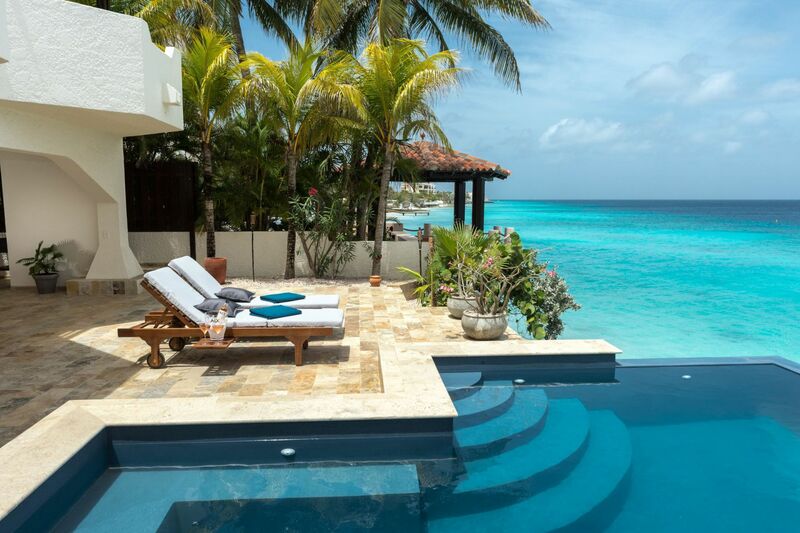 Very spacious terrace with pool deck and private pool. On the first floor, there is a sunroof. The property is surrounded by a very spacious tropical garden. In the garden there is a rinsetank and 2 outside showers.